Higher education’s mission goals have responded to the economy of the period. During the Obama Administration, and in response to the degradation of a university degree’s value in the wake of the economic crises of the last decade, the trend in post-secondary educational systems has shifted emphasis to the concept of job training through career technical education (CTE) programs like those in the California Community College System (CCCS). The issue with academic CTE programs is that they often have academic prerequisites not required in an industry sponsored program delivering the same job qualification. This variance poses a difference in what human capital is available for hire. This also can create confusion on the part of the student as to the requirements needed for industry employment, while seeking information on needed training prior to entering the work force. The question facing public administrators is how to define the value of a new employee during the hiring process. What vocational job or skills are prerequisites? For example, fire agencies that have their own fire academies are concerned primarily with what their jurisdiction requires to meet the California State Fire Marshal’s (CSFM) standards. Smaller agencies rely on the CCCS to develop and prepare firefighters to be ready for service. These agencies have several options in selecting where they send their recruits, as well as from where they recruit. 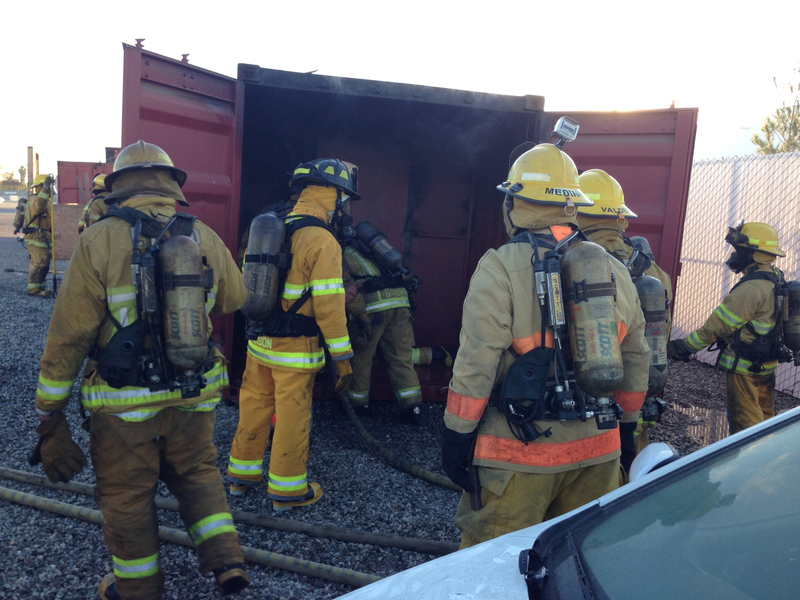 With CSFM standards being equal across all California fire academies, administrators have to decide if speed to hire or value of cadet training is more important. Some Fire Chiefs lament they hire firefighters that lack the basic educational preparation to write reports, communicate or are able to perform the mathematical skills required of the occupation. There is a need in these areas for job performance but the value of this learning may be trumped by the need for hands-on manipulative training. This is where an examination of prerequisite courses can bring lasting value to public administrators charged with the responsibility of keeping their communities safe and secure. This thought also is pertinent to other vocational careers such as nursing, police officers, EMT and Paramedics, as well as auto mechanics. All have to respond to the question of needed prerequisite coursework as it relates to the need for qualified candidates to the time it will take to prepare them as qualified to go to work. This article concentrates on the CSFM’s 38 Community College based accredited fire academy programs operating within the CCCS. While the CSFM ensures each Fire Academy meets the minimum training requirements to become a firefighter, each individual college is free to develop additional curriculum, including prerequisite courses. Curriculum approval for each individual college program is governed by the college’s district policies and the approval of their respective academic senates. Though the CCCS is comprised of 113 colleges, neither they nor the CSFM has established one overarching mandatory criteria for graduating a fully qualified firefighter. The State Fire Marshal has minimum requirements and a curriculum all programs must follow in order for a candidate to be successful in an accredited program, however, no one program is the same when it comes to entry. The question posed by the autonomy of fire programs is: what value is provided by academic prerequisite courses for the fire cadets? Are prerequisite courses established to ensure student success and how is this evaluated? Adding to this debate is that prerequisite courses differ from college to college. Colleges do not operate in a vacuum. They have program advisory committees comprised of leaders in the fire services that help determine the identity of each program, including which prerequisite courses they find value in for their potential firefighters. Left out in this conversation so far are what students feel about prerequisite courses. While fire academy directors and coordinators easily articulate the significance of their prerequisite courses, students see these courses as additional time and money to become a firefighter. For the fire administrator, these same questions affect budgets, human capital and long term investment in the future of the fire service. As the nation experiences an increase in hazards, the days of purely on-the-job training are long past. Today’s firefighters must be ready to start their careers with as much knowledge, education, training and experience as possible. Responding to a house fire, terrorist incident or hazard waste spill is not the time for training. Here is where prerequisite courses enhance the development of characteristics and traits that enhance the quality of cadets as future employment opportunities for the individual firefighter, as well as the gaining agency. The same can be said of the nursing industry and law enforcement. With new technologies moving faster in the auto industry, mechanics and technicians must also stay abreast of trends and current information as it relates to their careers. Academy directors and coordinators have to balance the need to train and educate versus getting firefighters on the street and there are many questions that must be addressed. Does the number of prerequisite courses affect overall enrollment and reputation of the program? Does having perquisites in an academy program ensure cadets are better qualified for the fire service? These questions can best be answered through college program reviews as well as working with industry leaders and advisory committees. Advisory committees provide an environment for public administrators and private industry leaders to develop individual fire programs to meet the needs of the communities they serve. Public administrators, across an industry spectrum need to ensure future firefighters are a well-rounded mix of academic practitioners that may become future chiefs, city planners and city managers. Shopping for the best candidates will include consideration of a candidate’s entire development up to graduating from a fire academy. The need for all programs that focus on career opportunities, advancement and preparation into a career industry must meet the needs of the employer but also the needs of the student. Without a doubt, California’s CTE programs impact employment opportunities and create a stronger work force for the nation. Throughout the country we see a shift to career technical programs that teach, instruct and educate those interested in not only a job, but a career that provides real value and future earning potential. The thing to remember is that almost any Fire Chief will say: if you purchase an apparatus, make sure it is of the best quality and value; the same can be said for the recruits they bring into the fire service. Ygnacio “Nash” Flores, EdD, MBA, MPS, MA, is the dean of public safety academic programs at Rio Hondo College. Email: [email protected].